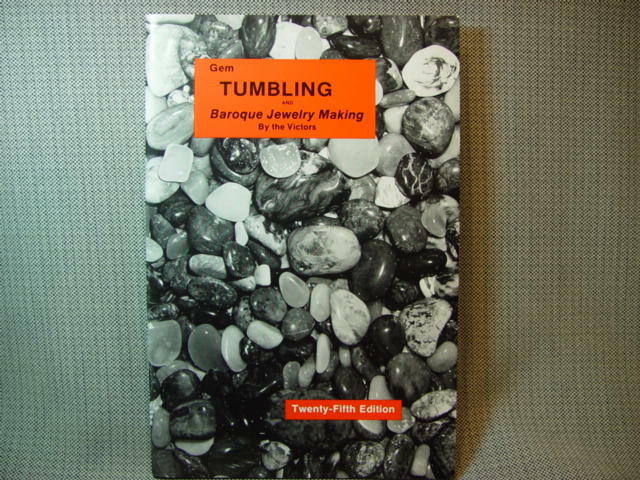 Book on how to tumble and make baroque jewelry. The book, “Gem Tumbling and Baroque Jewelry Making” by Arthur Earl Victor and Lila Mae Victor gives general instructions on tumbling agate, preforms, Montana agate, obsidian, Apache tears, tigereye, citrine, geodes, thundereggs, garnets and more. Also included are suggestions on coolant for the saw, casting in cement, how to store your rocks, how to build a tumbler and much more. This was copyright in 1962 and is the 25th edition, 1984.